Previously, Business First named Mari among its 250 most influential business leaders in 2017, honoring her with the “Power 250 award.” For three consecutive years, the paper has also named Mari among its “Power 100 Women,” which honors Western New York’s 100 most powerful women. The ReHab Center is proud and grateful for Mari’s passion, wisdom and energy in steering the Agency through the merger with Opportunities Unlimited of Niagara, and the development of a timely response to New York State Medicaid changes which will affect the structure of Agency business. She also prioritized the Agency’s commitment to the development of a social enterprise business model to offer integrated work opportunities to the people we support. Since assuming leadership as President and CEO in 2014, Mari has been a courageous and outspoken champion for people with disabilities. Her compassion for people with disabilities, knowledge of the issues, direct problem-solving skills have equipped her to address any challenges facing the Agency. While it takes a team to make an agency great, it takes a great leader to build a winning team. 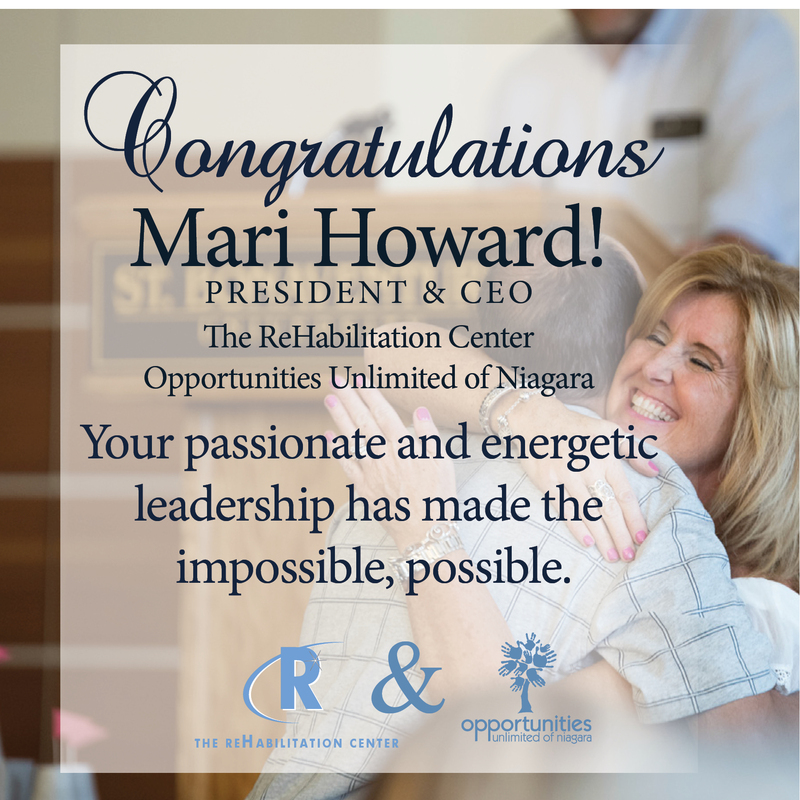 Mari is that great leader and the ReHabilitation Center and Opportunities Unlimited are a winning team, thanks to her passionate leadership.